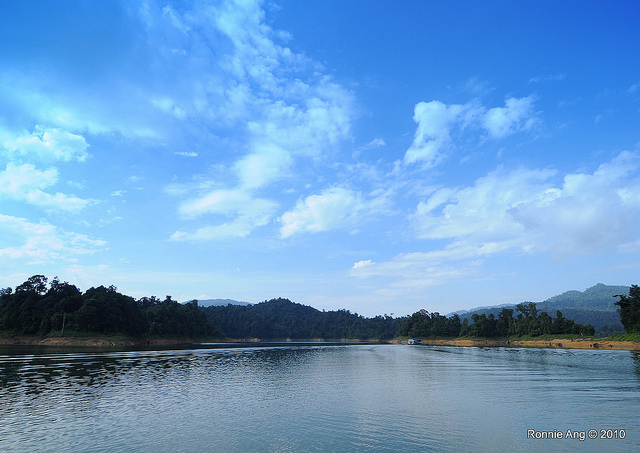 Lake Kenyir is an artificial lake located at the state of Terengganu. 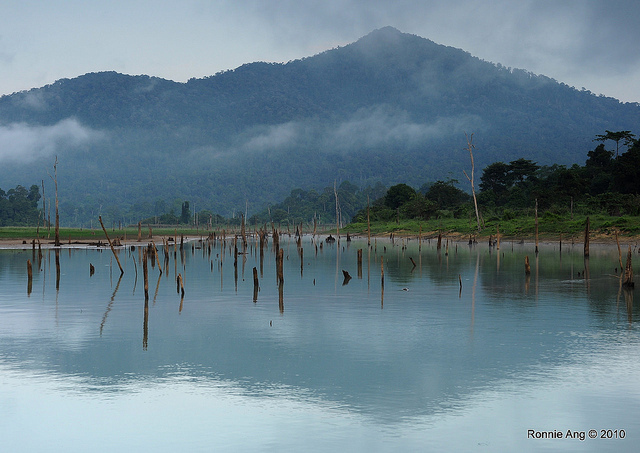 It was created for damming the Kenyir River to power the Sultan Mahmud Power Station in 1985. It is believed to be the largest man-made lake in South East Asia, and some think is the largest in the world. The lake covers a good 260km2 and has more than 300 small islands, more than 14 waterfalls and many rivers. The water level is the highest in March, hence that will be the best time to visit. 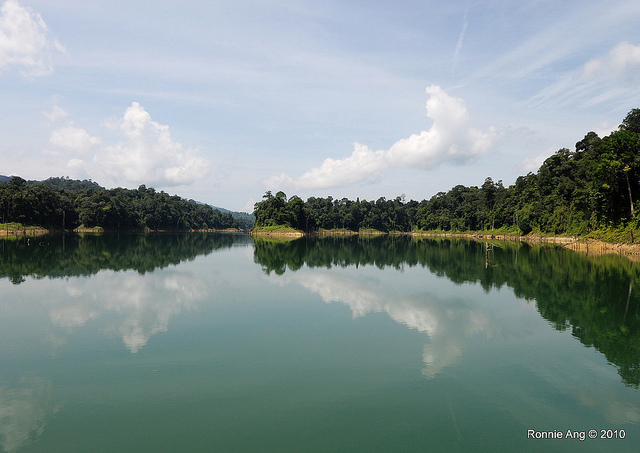 With a catchment area of 38,000 hectare, no wonder it's a fishing heaven, with more than 300 species of fresh water fish including Kelisa (Green Arowana), Toman (Snakehead) and Kawan (Friendly barb). 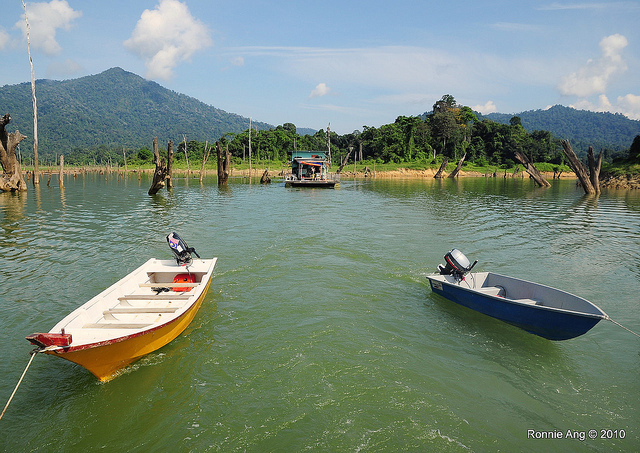 There are many people spending their weekend at the quiet lake of Kenyir, fishing and enjoying the serenity. The best time for fishing is n August where the water level is the lowest. Besides fishing, some cave enthusiastic also popped by to explore the caves around, namely Bewah Cave and Taat Cave. 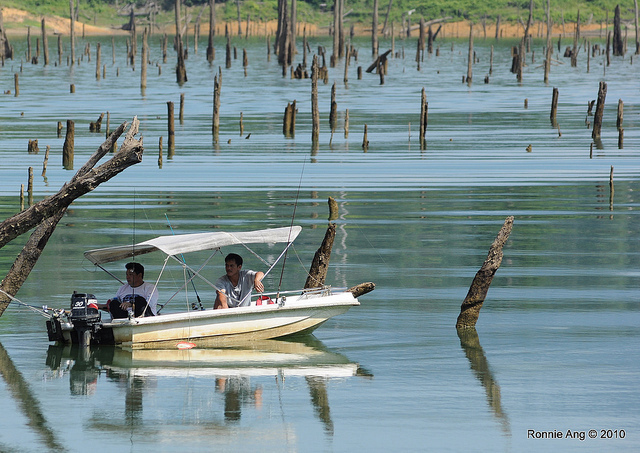 Although Lake Kenyir is an artificial lake, but with its rich marine life and lush flora and fauna around, it has been developed for eco-tourism. Many activities can be carried out here including jungle tracking, canoeing, kayaking and water rafting. There are many resorts around its shore, overlooking the wide calm lake. Of course there are many more attractions nearby, beautiful islands and beaches are among the most popular destination such as Perhentian Island, Redang Island, and Mira Beach . 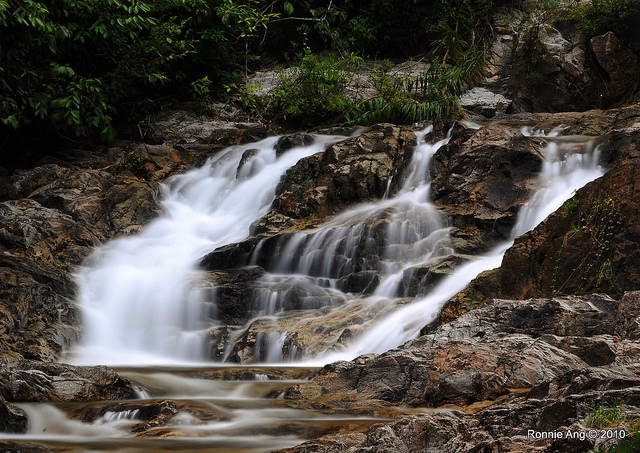 For an opportunity to taste and experience the rich local culture, Merang is the town to hit. Besides, Merang is also the gateway to Redang Island. Hotel in Terengganu are never scare. You can get hotel, backpacker inn, and resort just about everywhere in Terengganu. There are 2 jetties at Kenyir Lake, Pangkalan Gawi being the main jetty and Jenagor jetty which is used mostly for houseboat. Pangkalan Gawi jetty is about 80km away from Kuala Terengganu. MAS /Air Asia / Firefly commutes to Kuala Terengganu Airport daily. From there, either catches a taxi straight to Pangkalan Gawi or to the central bus station.